Ty Lome’s article on Snug Harbor inspires any virtual manager or developer. A visit to his properties on the Blake Sea demonstrates the best of SL lifestyle! Discover a comprehensive community of shops, clubs, homes, docks, and even a museum! Not many sims offer such a great variety of features, while maintaining the privacy of residents. With access to the open waters of the Blake Sea, this vibrant community is worth a visit just to see the variety of activities and the beauty of the communities surrounding. Snug Harbor is one of the oldest and leading on the grid. Ty conveys the history, his journey, and his virtual lessons of life in “Legacy and Longevity,” SSJ#4. AP Holdings: A not-quick visit to Marketplace will demonstrate how expansive Arkad’s products have become. There is little that Arkad Baxton has not attempted in the virtual world. 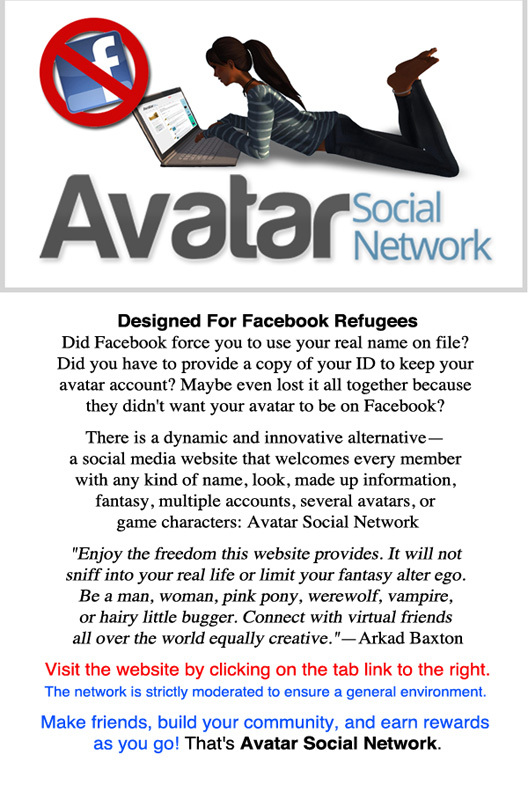 He owns a mall as well, and is the founder of the Avatar Social Network, designed specifically for those with second (or even third or fourth) lives. His other self, Uzo Dayafter, is a club owner, host, and DJ. 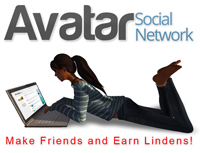 Somehow the real person behind these two avatars accomplishes as much as two people! Profiled both for his “Arkad’s Axioms for Virtual Marketing” and as a renaissance man in “Axioms Applied,” he has sound advice for an entrepreneur in any world. He also is a good friend, mentor, and promoter of Sim Street Journal. Proud to be a charter member of ASN, this collaboration is a win/win! G&T Fashions by Greenie Lane offers elegant and classic designs that are wardrobe additions for the sophisticated avatar. An advertiser in Sim Street Journal for a long time, her fashions and her shop fit well with the readership of artists, musicians, entrepreneurs, explorers, and those who are serious about discovering what the virtual world has to offer. Dressing is the most self-expressive part of the virtual experience! And a great way to celebrate is with her holiday-themed selections. Greenie is featured in SSJ#11, in-world with “Living the Fantasy” and online with “Growing a Merchandising Mind” and “A Wide Creative Focus.” She has melded her two lives together by joining her SL partner in her real life. She discusses the challenges of reality and the romance of a real fantasy. Apocalypse is not easy to create. For an effective after-the-end setting, futuristic city environments, fantasy setups, and details beyond imagining, Megan Prumier is a master builder. 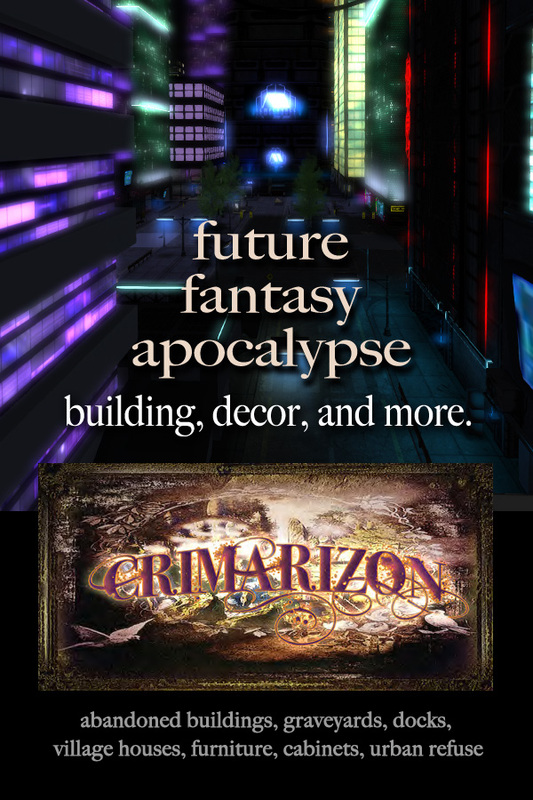 From falling down buildings to scifi atmospheres, anyone creating an innovative sim does well to start shopping at Crimarizon. Megan thinks of every detail and offers a wide range of selections. Just browsing is an amazing experience! Popular and expansive, this shop is always good for a surprise. Megan describes her experiences in “The Dark and the Light” in SSJ#8. Paris Obscur: Moody and provocative, Paris’ sultry voice and humor both charm his growing fans. Though he may appear austere in his fascination with black, and though his songs are of depth and longing, he envelops listeners with a warmth powered by his personality. Presenting every emotion in his repertoire, he brings the same intensity to a range of songs and styles. Catch him in the afternoons via European time, and sample his music on his website. Don’t miss his article “Emotional Translator” in SSJ#7. 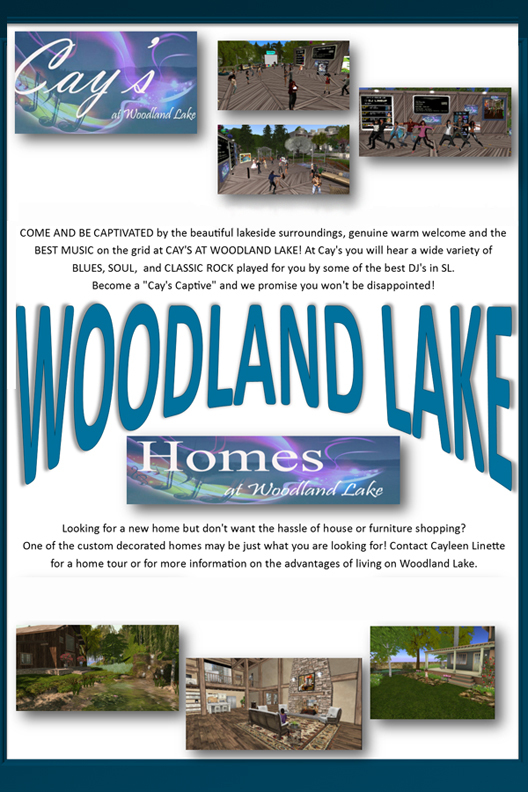 There is no place in Second Life® more fun than Cay’s at Woodland Lake. 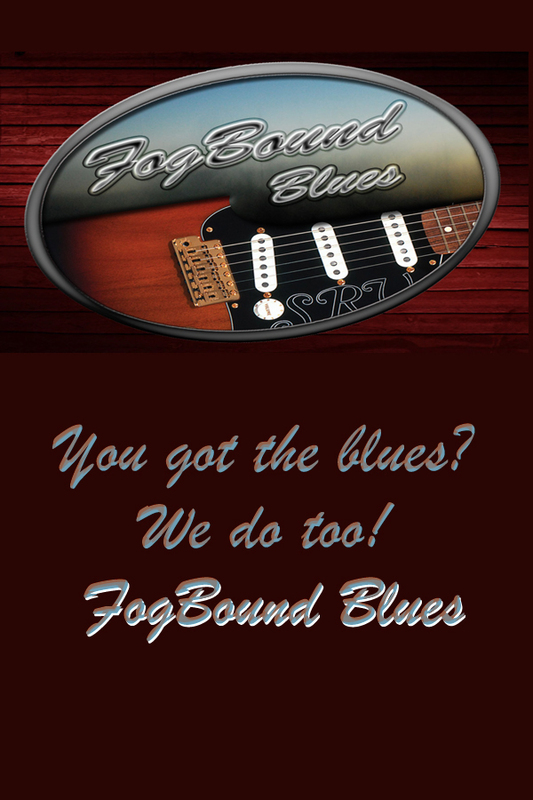 A beautiful outdoor setting features some of the most talented DJ’s spinning Blues, Soul, and Classic Rock. Further, there are comfortable and welcoming homes for rent. Why take the time to shop and decorate when the homes can be customized for each resident? Cay’s is a community surrounding her popular music venue, with parties every day of the week! 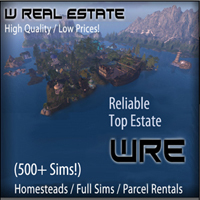 If looking for a place with all the advantages, don’t pass up the opportunity to live in this fantastic sim. Cay has more fun also when talking with Sim Street Journal in her profile for SSJ#2. 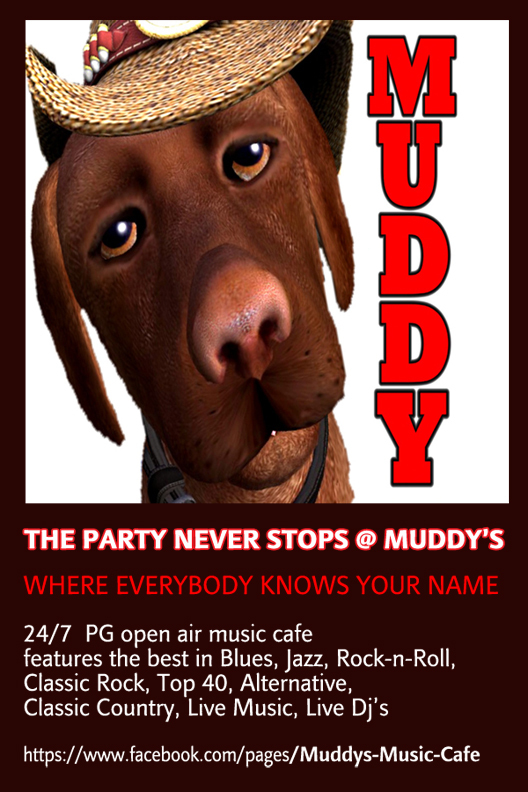 If looking for a classic club with amazing music that is open 24/7 with every kind of popular tune (Blues, Jazz, Rock-n-Roll, Classic Rock, Covers, Country, and even Alternative), look no further than Muddy’s. Run by Bridget Hammill, she has a talent for finding talent. Several of her DJ’s are included in Sim Street Journal #10: Dwight Georgie and Hy Gynoid, who are happy to share their wisdom with fans and would-be-fans, in “Musical Catalyst” online and “More than Music: DJ’s Discover Relevance” in-world. If ever in need of diversion, community, and fun, this club will not disappoint. Music Not Politics: (Throughthesewalls Moody) Tara represents some of the top musicians performing virtually. With many years of experience on the grid, she has written a column for Sim Street Journal that explores the business side of the industry. As she develops new ways to promote and sponsor events, she compiles the lessons learned into an engaging and thoughtful exploration of the medium’s potential. Very active on Facebook an d promoting live music in-world, the best and most active list with her agency. Enjoy different, but related, issue versions: online and in-world (available at the Second Life® SSJ office (Innu 42, 35, 1649) or here as a PDF: Sim Street Journal #11.